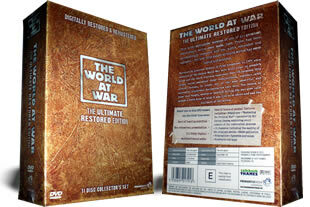 The World at War 11 DVD Boxset. New for 2010 the remastered set. Covers the famous tv series, telling the story of the Second World War through testimony of key participants. DELIVERED FREE IN THE UK. Over 32 hours of world beating documentary footage. 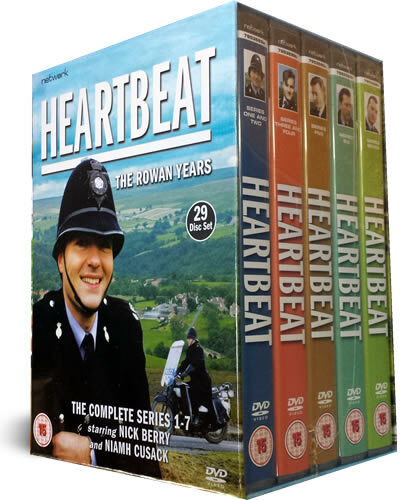 When this amazing series was first broadcast in 1973 it redefined the standards for tv documentaries. Each hour-long programme is carefully structured to focus on a key theme or campaign, from the rise of Nazi Germany to Hitler's downfall and the onset of the Cold War. There are no academic "talking heads" here to spell out an official version of history. The show's great coup was to allow the participants to speak for themselves. Painstaking research in the archives of the Imperial War Museum also unearthed a vast quantity of newsreel footage. The original 26 episodes were supplemented three years later by six special programmes (narrated by Eric Porter), bringing the total running time to a truly epic 32 hours. having watched these programs originally it is nice to have a copy so my children can learn about the horrors of war.